Enjoy the quiet beauty that surrounds this property. From the deck, you will be captivated by the sight of Mauna Kea and the tropical vegetation that landscapes the grounds. There is even a lawn to do some serious putting practice. A quick five minute drive will take you to the seaside and to downtown Hilo. Your accommodations are immaculate, comfortable and latch-key ready. This home is the size of a guest house and is great for short or long term stays. we want to thank Lillias for everything! the place was nice and breezy and very quite. we enjoyed our stay. Very comfortable and accommodating. I love the private washer and dryer. Nice stay. Good parking. Very functional kitchenette, bath, and laundry facility. Nice picture windows. Private. Very nice stay. Ample private parking. Nice size. Good location. Private washer and dryer. Nice yard area. Functional kitchenette. Nice dinette area. Nice sized bedroom. Clean bathroom. Good seating for tv viewing. Good communication with owner and caretaker. I stayed here for 8 days in February 2018 while on vacation on the Big island. 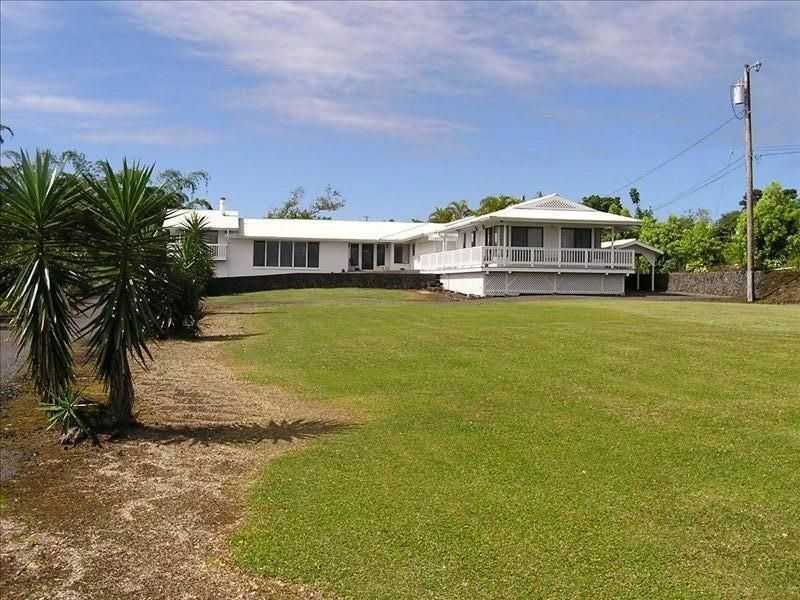 It is located just a few miles from several restaurants, a large KTA supermarket and downtown Hilo. Hawaii Volcanoes National Park is an easy 30 minute drive. The house is very clean and well-maintained. The kitchen is fully stocked with all of the utensils you would ever need along with a full-size refrigerator, electric oven, microwave, toaster and coffee maker. The wi-fi is better than most hotels I've stayed at and there is a full range of cable TV stations. The owner (Leialoh) is nearby if there are any problems, but there weren't any problems. The house is located 100 yards from the street, so there is no traffic noise. Just one issue (and it isn't Leialoh's fault) - her neighbors (about a quarter mile away) have a dozen roosters that crow at all hours. I closed the window in the bedroom, so I barely heard them. But if you are a light sleeper, you might have an issue. Otherwise, it was a perfect week. Convenient, lots of windows, clean, comfortable!!! This was our 3rd stay here. We keep coming back because it is airy, very clean, very comfortable. Amenities were provided....coffee maker w/coffee grinds, pots & pans, dishes, utensils...everything to cook yourself a meal. Your own washer & dryer. And the very best perk was having Lillias as a wonderful owner of this beautiful 1-bedroom unit. We will definitely come back!! !